When Blackberry released BBM a few days ago on iOS and Android, there was short lived rejoice since shortly after downloading the App users were instantly added to an activation queue. There they had to wait to be manually activated on the BBM service in Blackberry’s attempt to eliminate server overload. 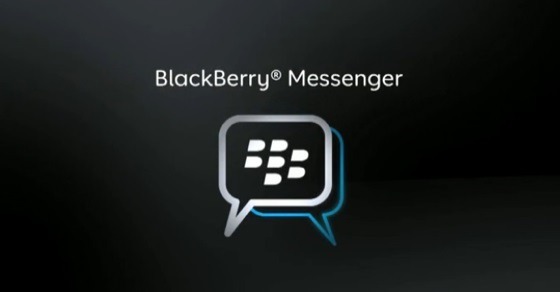 Luckily for any users still waiting, Blackberry has now done away with the waiting list for BBM on both iOS and Android, allowing new users to begin using the messaging application instantly. The App was downloaded over 10 million times in the first 24 hours, so perhaps Blackberry were right to attempt to regulate the surge of user activations to preserve user experience. That’s not all, Blackberry have promised new features in future updates such as Channels, BBM Voice, and BBM Video, of which they are said are only months away before these features are brought to BBM. We continue to plan to evolve the service and keep making it more engaging and have more reasons why people will come back to use the service,” Andrew Bocking, executive vice-president of BBM for BlackBerry, told CBC. Some of the new features will include Channels, BBM Voice, and BBM Video — features that were only added to the BBM service this year. Blackberry also emphasised that despite its instant success in the Stores, BBM will remain a free service since Blackberry have figured out other ways of monetizing the service to again preserve the user experience. So that’s a triple load of good news for Blackberry lovers – no more waiting list, a whole host of upcoming improvements, and a promise that it will remain free. Who ever said Blackberry was dead? Let us know your thoughts in the comments section below, especially if you’re a lover of BBM, or how long you had to wait in the activation queue.